Hey there. Our friends at Flump Studios have done it again! Wait.. what? You don't remember Flump Studios?! The awesome indie game developer that have provided us with Pester and Super Killer Hornet? We even had them on our Get a Life podcast for a chat. Now that you've jogged that memory of yours, let's get into their latest game, Pressured. Our good friends at Flump Studios provided me with a press copy of their latest PC game and let me tell you, it's ADDICTING! Pressured is a bit different from other Flump Studios games. First off, this is not a shmup game, it's a puzzler game but it will require quick reflexes and definitely require some brains. The premise of Pressured is simple but relatively hard to master. In each level, you are assigned a target number. 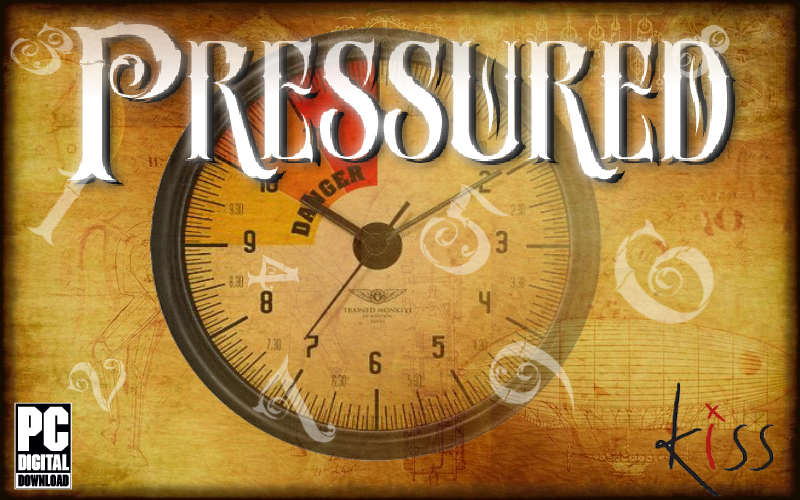 Your goal is to click on numbers that add up to that target number before the pressure meter fills up. As you click on numbers, your current sum is shown on the top of the screen so that you can keep track of how far off from the target number you are. On the bottom of the screen, you'll be advised as to how many times you need to reach your target number before advancing to the next level. Each time you successful reach the target, some pressure is relieved, in essence, adding more time to complete the level. Easy peasy, right? NOPE! The grid where the numbers are located is constantly shifting. 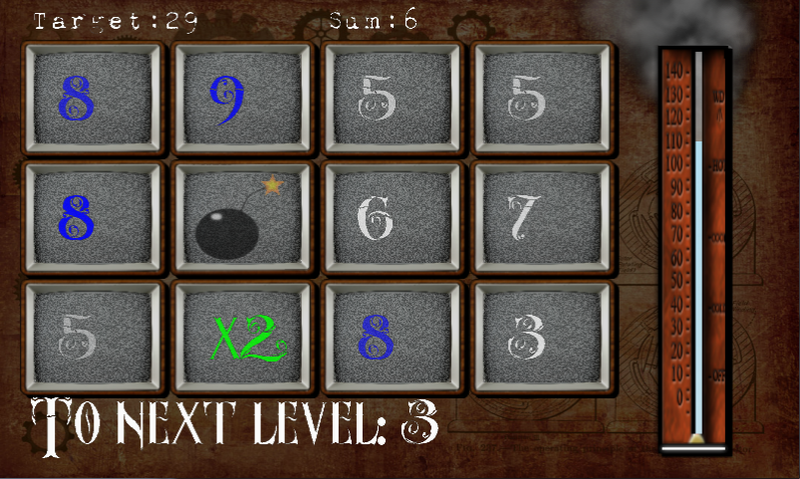 Numbers flash on the screen for no more than a second before new numbers appear, bombs randomly appear (resetting your sum to 0) , and a "2X" symbol occasionally pops up (doubling your current sum). Points are earned for each correct target hit and points are lost for hitting bombs or going over the target number. You will need to stay sharp or you will fall to the pressure! Dude! The pressure is building! You best better start clicking on numbers... FAST! After spending some time playing the game, I can say confidently that it's an entertaining game. Even though you are not using precise movements to avoid bullets raining down on you, you are using another set of skills that require the same , if not more, precision. You must click on numbers quickly before they vanish and you must click on numbers that will help you reach your target without going over. And just in case you want to add a little more challenge to Pressured, the game does offer achievements for you to strive for while playing. If you are looking for something a little different that offers quite a challenge, Pressured it definitely for you. Pressured is now available on Steam so make sure to check that, and some of the other awesome Flump Studios games out on Steam now! So... do you think you can handle the pressure? Later!